JDeveloper is a Java application and runs on Windows, Linux and Mac OS X. The current release is 11.1.1.4.0. New features includr support for ADF on IBM WebSphere and improvements to ADF Faces, visual components for web applications. It is a mature product with a rich feature set. 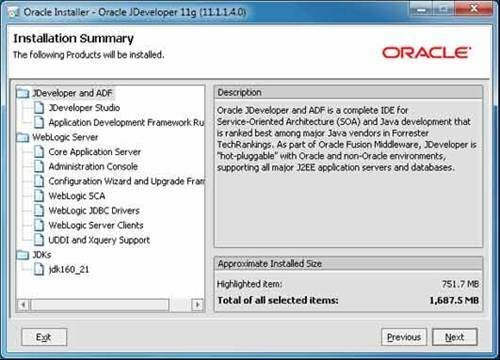 Tim Anderson finds that Oracle's home-grown tool for Java development, JDeveloper, may have a traditional feel, but its smart editor and productivity tools make it particularly useful if you are working with the powerful Oracle ADF.